Am I responsible for my spouse's debts even if I did not benefit from the purchase? 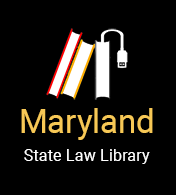 In Maryland, you are not responsible for the debts, claims, or actions of your spouse that arose prior to your marriage. Also, you are not responsible to carry out a contract made only in your spouse’s name. This includes all expenses and debts your spouse incurred alone. You are not responsible for loans made only to your spouse, for credit card debts, if the cards are only in your spouse's name, or medical bills for services provided to your spouse. However, if you agreed to be financially liable, then you are. This includes co-signing for a loan or signing an agreement to repay a debt that was only your spouse's name. Also, if you handle or control money or other assets belonging to your spouse under a power of attorney, a guardianship, or some other type of "fiduciary" role (acting on behalf of your spouse), then you are liable only for the amount of your spouse’s money or assets that you handle. If you used those assets for purposes other than your spouse's expenses or debts, then you could be personally liable for the amount of your spouse's assets. My spouse died recently. All of our property was jointly owned. I am receiving medical bills with charges I did NOT authorize. Am I required to pay these bills? You are not responsible for paying for your spouse's debts or expenses from your own income or property, unless you have actually agreed to accept financial responsibility. If all of the property your spouse owned at the time of death was owned jointly with you (with the "right of survivorship"), that property is solely yours upon your spouse's death, and does not belong to the spouse’s estate. Therefore, you are not responsible for paying these bills. However, if your spouse owned property of any sort, that was not jointly owned by someone else with the right of survivorship, that property will belong to the spouse's estate. The “estate” is all of the spouse’s property. The court must “probate” the estate (make determinations as to how property should be divided), and if there is anything left after expenses that have priority (such as burial expenses), then your spouse's creditors might be entitled to payment from the estate. Updated by Susan Walker, Esq.